A highbrow journal rises in an era of sound bites. Editors with their product. 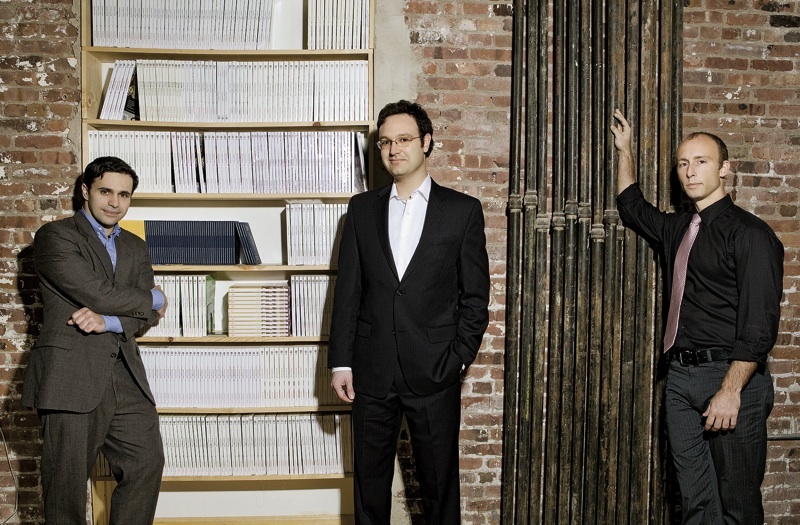 Left to right, Keith Gessen, Mark Greif, and Chad Harbach of n+1 at their Brooklyn office, with a bookcase full of past issues. Each issue follows a similar format, beginning with “The Intellectual Situation,” a compilation of the editors’ views on, for example, the undermining of neoliberalism, the psychology of global warming, or the gentrification of Park Slope, Brooklyn. Then comes “Politics,” where one recent essay, “On Repressive Sentimentalism,” considered the relationship between gay marriage and abortion rights. The name n+1, conceived in a moment of frustration, comes from an algebraic expression. “Keith and I were talking,” Harbach recalls, “and he kept saying, ‘Why would we start a magazine when there are already so many out there?’ And I said, jokingly, ‘N+1’—whatever exists, there is always something vital that has to be added or we wouldn’t feel anything lacking in this world.” The founders did perceive a literary void: a dearth of cohesive philosophical ideas. Journals like The Baffler and Hermenaut, which critiqued contemporary culture and thrived in the 1990s, had disappeared; meanwhile, they saw an “institutionalization” of magazines like the Nation, the New York Review of Books, andthe New Yorker. “There need to be organizations that are not as worried about offending people as you have to be if you have a million subscribers,” says Gessen. There is also a website (nplusonemag.com), updated weekly with shorter, more topical pieces, plus a Small Book Series, whose latest product is What Was the Hipster, based on a New School seminar on the “hipster” persona that emerged—briefly—at the turn of the twenty-first century. Other projects include the online book review N1BR, and a spinoff, the arts journal Paper Monument. In 2010, HarperCollins will publish Diary of a Very Bad Year, Gessen’s interviews with an anonymous hedge-fund manager, first published on n+1’s website and in the magazine. “We’re a growing empire!” Greif says. Nevertheless, after five years, there’s only one paid staff member. Half of n+1’s income comes from its 2,000 subscribers, a quarter from ads, and a quarter from bookstore sales. Last year they received $40,000 from a benefactor, “about a third of our annual budget,” Gessen says.